A few months ago, Michael Stelzner and I had a phone conversation about the many unfulfilled business niches on the social web. Instead of pursuing these legitimate and focused opportunities, people entering the field as bloggers and consultants seem to be determined to simply copy everybody else and put out the same ideas over and over again in an already-crowded space. 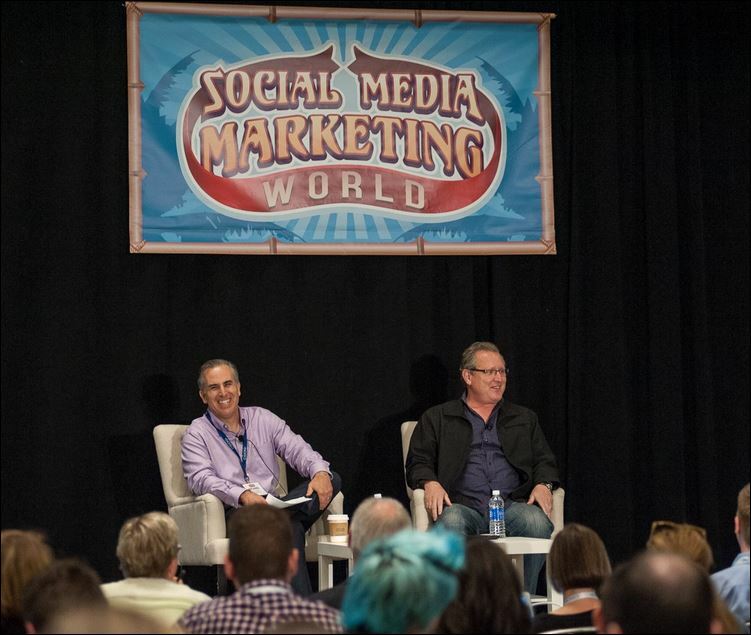 We thought it would interesting to talk about this opportunity at the recent Social Media Marketing World conference. We took the stage to share our ideas with a packed room of marketing professionals. It was an excellent discussion and I wanted to capture some of the key ideas here. Before committing to an area, spend some time researching the space to see how crowded it is. Can you define an area that is unique to you? Why would people listen to you or buy from you instead of a competitor? Have you found an area that suits your talents and experience? Can you differentiate by delivery method? By channel? By geography? By price? Through your experience? Your service? Can you finish this sentence: “Only I …” Have you surveyed your customers about un-met and under-served wants and needs? You need to find a place to occupy that will allow you to express your authentic voice and passion or it probably won’t be sustainable. Test your ability to own a niche for a few months but stay open to adapting and adopting to market conditions. Feedback from your fans, readers, and customers may help clarify your niche. Bringing on a new employee or a new customer can open up opportunities, and relevant new skillsets and competencies. How do competitors react? Is the niche truly open or do competitors defend? In our talk, Michael emphasized the dedication needed to occupy and dominate a niche over a period of time. Look at the leaders you admire and you will find an incredible work ethic. Are you prepared to patiently and tenaciously work to achieve your goals? A lot of success in this space is determined by out-working the competition. In my new book The Content Code, I have an entire chapter dedicated to becoming a Heroic Brand. Everybody has a personal brand but few have what it takes to become a heroic, beloved leader who can transcend content, SEO, promotion, and other methods of moving to the top. We both shared examples of the many people in the field who have a vision and dedication beyond themselves. The best leaders are sincerely dedicated to helping, serving, and elevating others. The obvious choices for a business “niche” would be a platform, a geography, or a price point. But another legitimate and often over-looked opportunity is your own distinctiveness. Maybe people buy from you simply because of who you are — your unique blend of experiences, education, and business approaches. After all, there is only one you. You really have no competition. Perhaps your niche is you. It was enjoyable sharing the stage with Mike on this topic. It’s on the minds of so many people. What else would you add? How have you found your marketing niche? Would you contribute your idea in the comment section?